Abdelaziz Lakehal received the Engineer degree in Industrial Maintenance, the Magister degree in Mechanical Engineering, the PhD degree, and the Habilitation to conduct researches in Electromechanical Engineering (Maintenance engineering), in 2004, 2007, 2013, and 2016 respectively. 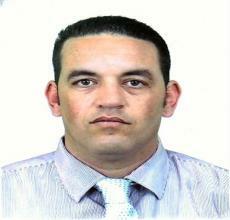 From 04/2012 to 10/2014, he was appointed as Lecturer in the National Higher School of Technology, Algiers. In 2014, he moved to Mohamed-Chérif Messaadia University, Souk-Ahras, Algeria, where he is currently Senior Lecturer. Before joining higher education, he was head of district, the National Company of Electricity and Gas (SONELGAZ), Algeria. His research interests include maintenance, quality reliability and safety, sensors, fault diagnosis and prediction. On the application side he is mainly interested in the field of maintenance engineering. Dr Abdelaziz Lakehal is the author and co-author of many journal and conference papers. He has served on the technical program committees of numerous conferences, and is an editorial board member and reviewer of some journals.